Ready or not, it's mid-August and back to school is right around the corner! While I'm not prepared to say goodbye to summer just yet (and luckily, we still have almost a month left here), I'm not too sad about back-to-school shopping. I still have such fun memories of picking out my backpack as a kid -- for some reason, that's what marked the turn of one chapter into another and officially ushered in a new school year. Today I'm sharing a roundup of my favorite backpacks for the girls in your life. It seems like the trends this year are all things shine (sequins, iridescence, confetti) and critters. 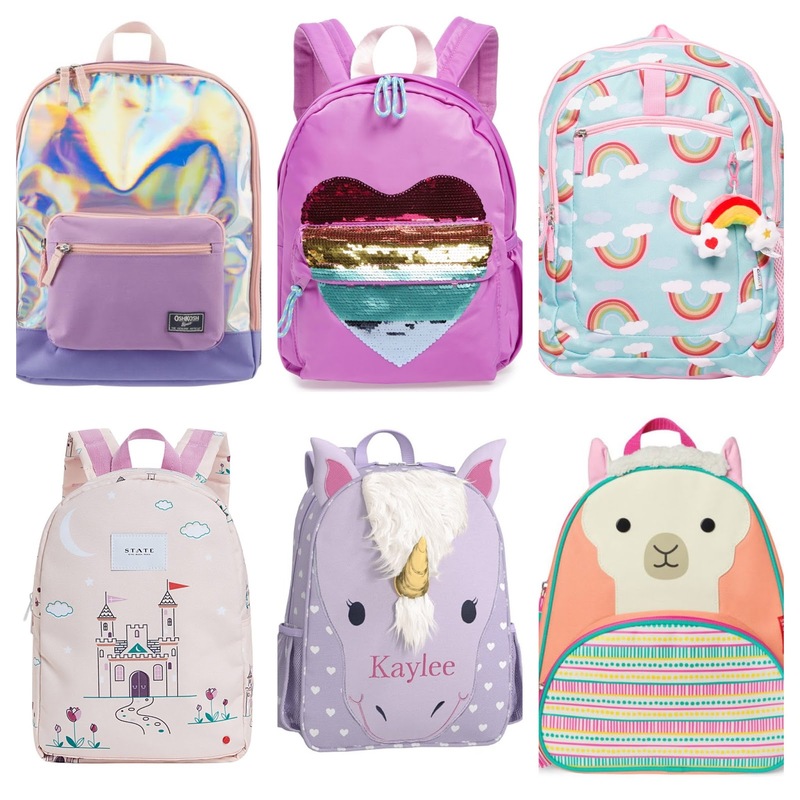 C picked out the purple unicorn backpack below for this year (she finally outgrew the Skip Hop one she's had since she started preschool as a not-even-three year old), and it recently arrived and is so cute! Everything is linked for you below. Happy shopping! Those are the cutest backpacks ever. I can't wait until my girls start using them at school. I think I have an unhealthy obsession, haha! Five on Friday: HELLO, WEEKEND!